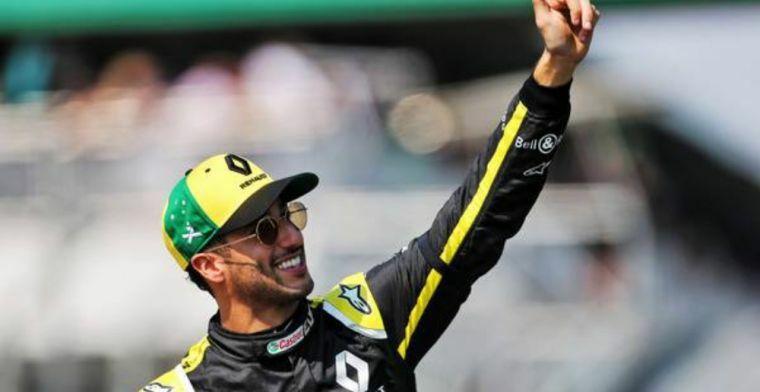 Has Daniel Ricciardo dropped a hint on his career post F1? Daniel Ricciardo is a typical Aussie and it may come as no surprise that he would be keen to take part. Dr. owegbe has really made me so much believe in him by getting me cured with his herbal treatment. i really appreciate you Dr.owegbe for bringing back happiness to my life again. thanks you so much,friends join me to thank him for what he has actually done for me i pray to you all for a good life and good health, and most especially to you Dr. owegbe THANKS. I am here to testify for what dr.idowu Yoruba man for me. I have been suffering from (GENITAL HERPES VIRUS) disease for the past 3 years and had constant pain and inching, especially in my private part. During the first year, I had faith in God that i would be cured someday .This disease started circulating all over my body and I have been taking treatment from my doctor, few weeks I came across a testimony of Rose Smith on the internet testifying about a Maago n called Dr.idowu on how he cured her from 7 years HSV 2. And she also gave the email address of this man, advise anybody to contact him for help on any kind of diseases that he would be of help, so I emailed him telling him about my (HSV 2) he told me not to worry that I was going to be cured!! Well, I never doubted him I have faith he can cure me too,, Dr.idowu prepared and sent me Healing Oil, Soap, roots and herbs which I took. In the first one week, I started experiencing changes all over me, after four weeks of using his Roots/ Herbs, Oil and Soap, I was totally cured. no more inching , pain on me anymore as DR idowu assured me. After some time I went to my doctor to do another test behold the result came out negative. So friends my advise is if you have such disease or know anyone who suffers from it or any other disease like HPV, HBV, HIV, ALS, HBP, CANCER etc. you can contact Dr.idowu for help via email} dr.idowuherbalhome@gmail. com or WhatsApp him through his mobile} +2348052789941 or. +2348065712135 . Thanks once again Dr.idowu for make me happy now and my family . What else can I say about him, today am very grateful to him as I am finally cured of herpes disease that I have been eating me up for over a year and 6 months.After searching for different means to get my self cure but nothing seems to work out,Behold today i can boldly stand and testify to the world at large that with the help of an herbal medicine,I have found myself back to my feet and healthy again in just after few days that i got IN contact with a GOD sent man,through help on a blog which talk about herpes cure,how she was cured through the herbal medicine too which was sent to her from doctor Dr Adeola.So i decided to give this great man a try by contacting him via his email and mobile no,explained to him what my problems his and he told me all would be fine and well by the time he his done with is own work that i just have to believe in him which i did ,low and behold,today i am very happy as it was just all like a magic that is why i have come here to testify to the world at large and also to share my experience because I know there are many people out there who are also in searching for cure to one disease or the other,you can as well get Dr Adeola the great now for herbal medicine help through his contact address on dradeolaherbalhome@gmail.com also on mobile wha'sapp no +2349027752454 as i fully believe he is able and capable also getting rid of disease like HIV/AIDS HPV CANCER ALS.